With ballots dropping in Coloradans’ mailboxes this week and last, Jared Polis is leaning on his closest ideological allies to help him get across the finish line (we can’t call them friends, because even Democrats say that Polis has few of those). Enter Bernie Sanders, the self-described Democratic Socialist and the one true air to the throne of the modern Democratic party. 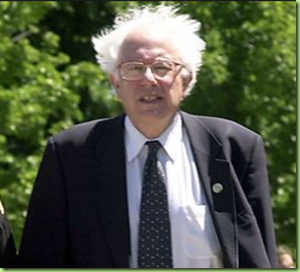 King Bernie will be joining Prince Jared for get-out-the-vote rallies next Wednesday in the socialist utopias of Boulder and Fort Collins. We can save you the trips in your electric vehicles (themselves inconveniently powered by oil and natural gas, FWIW). Sanders will extol Polis’ promises to provide Coloradans with free pre-K, free college, free sandwiches, and free infrastructure. He will then smash the corporate overlords who apparently keep the little guy down. It would be hilarious if it weren’t so intellectually boring (and dishonest). But Coloradans, beware. As Republican gubernatorial nominee Walker Stapleton said to Polis in a recent debate, “Free is really expensive.” Polis will promise us the moon and stars, but it won’t be the multi-millionaire subsidizing the endeavors. It’ll be us.